크라쿠프, 폴란드의 버블 호스텔 | 호스텔월드에서 예약하세요. Our hostel is located just in 5 minutes from the main station and Galeria Krakowska the shopping center. Slow walking to the heart of the old town (Rynek Główny) takes just 5 minutes, your services include shopping center and entertainments, nightclubs and restaurants. You can see amazing view of the park and the old house under the globe with a beautiful tower from the windows. 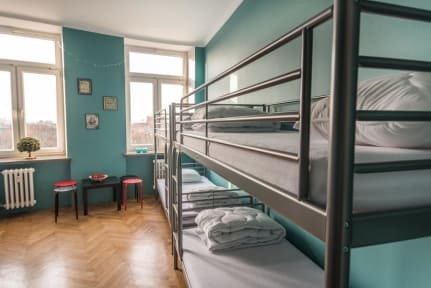 Bubble Hostel can offer a varied range of rooms – from the dormitory rooms, which are ideal for young people who want to find new friends, as family rooms are suitable for young couples and families. We have free Wi-Fi available throughout the hostel. Guests have access to a common, fully equipped kitchen (refrigerator, microwave, kettle, toaster, cooker, dishwasher). You will find a 24-hour reception. 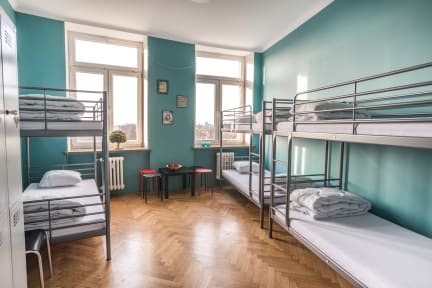 Each room includes a shared bathroom and lockers. Front desk staff can provide ticket service for museums and tours. 위치가 진짜 예술!! 역에서 5분 구시가지 입구까지 1분! 구시가지 안쪽 호스텔은 시끄럽다고 하던데 여긴 조용하고 시설도 좋아요!! 무엇보다 리셉션 너무 친절해서 하루 연장 했어요! 건물 자체는 좀 오래되 보여서 엘리베이터는 낡았지만 호스텔 내부는 깔끔하고 좋아요 샤워실에 수압은 칸마다 달라서 신기했던... 그리고 수건은 4즈워티 빨래는 5즈워티 건조기는10즈워티 인데 건조대 있어서 시간 많으신분은 자연건조 시켜도 됩니다!! 그리고 키친 쓸수있어서 해먹을수도 있어요!! 직원분들이 일단 너무 친절하셨고, 역에서 10분 정도 걸으면 도착할 수 있다. 샤워실도 깨끗하고 조식도 나름대로 괜찮아서 매일 챙겨먹었다. 방도 넓고 전체적으로 만족함 ! !